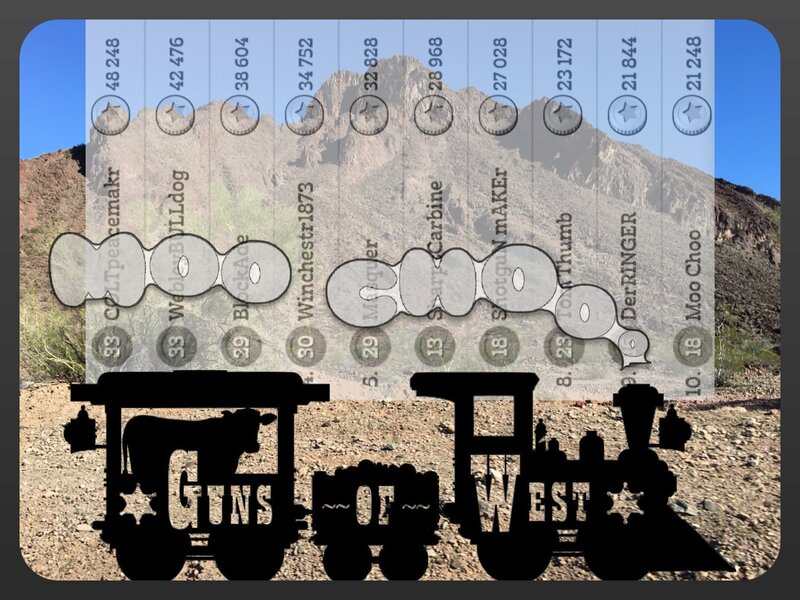 Guns Of West, you know, that one cow-one train, posse? It is composed of largely high level leaders and co-leaders from a variety of top leaderboard posses! You might recognize some of them: Deplorables, Hang'em High, World Class, White Buffalo, 40 Something, The Wanted, Rogue Riders, TX Punishment, Canadian Way, and others. It is a great opportunity to play with some of the best in West! Years or accumulated experience here. If you got a one cow account, or plan to experiment with it, please consider joining up, you are welcome! Come represent your great posse here in this melting pot of minds! As leader in Guns Of West, I encourage members to feel free to do as they wish. They can go at any speed of play, and come or go from the posse, at own wish, no strings or pressure attached. You going for one moo one choo strait ?? 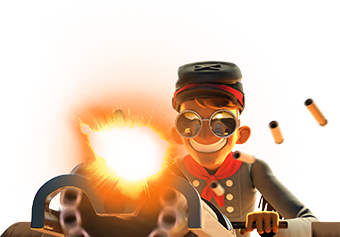 @Straight_crazy, we actually run one train every four hours(give or take), and more if cow/miner cool down cards have been saved. Not .... as you have suggested in multiple posts here. Notice mine is a single period? While your's is multiple periods side by side? I get it, multiple periods suggest multiple battles in order to send a train. We don't do that in Guns Of West. One moo, one choo, as @MPH has suggested. If you want to visit in between events, you and/or anyone else is always welcome. Only players with that first cow on their map, may stay to play.